What a great issue, right? There is lots to think about in this issue with great examples of both thoughtful analysis and practical application. Be sure to check it out. Meanwhile, here are three brief excerpts from my piece (in case you are NOT a subscriber). 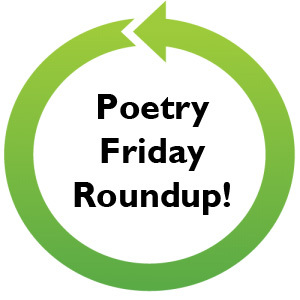 Now head on over to The Logonauts where Katie is hosting our Poetry Friday gathering. See you there! YAY congrats on the article! 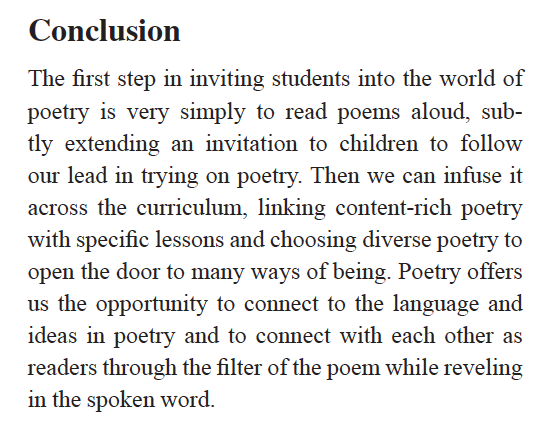 I absolutely 100% agree - so many young people think they know what poetry is, and have decided they don't like it, without having been exposed to poetry in all its incredible diversity of forms, tones, themes, styles and voices! Poetry is so much more than Shakespearean sonnets or rhyming couplets, and poets are so much more than old dead white men! Wonderful post! I am not a LA .... and so not a member of NCTE. Do you know if I can purchase a copy of the journal as an individual issue? I'd love to keep it at school. 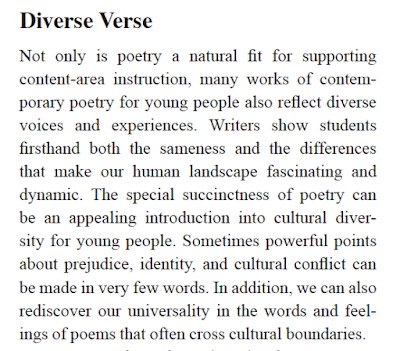 I love how poetry busts genre wide open for young people. Just yesterday I shared my impression of You Can Fly: The Tuskegee Airmen by Carole Boston Weatherford, and it sparked a discussion of what to call the book. A website I came across called it "history in verse" which is not a term I've seen before. 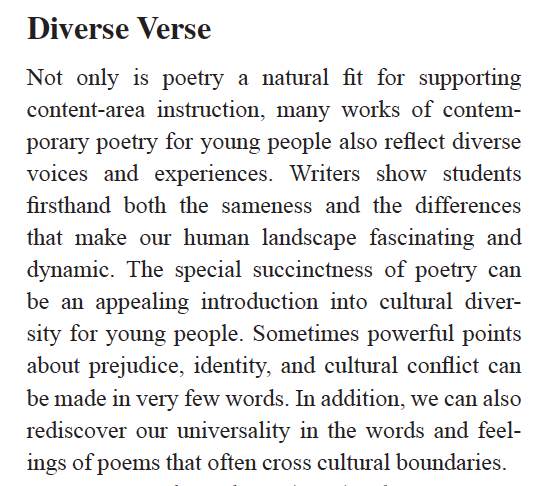 Can you point me in a direction for more discussions of how poetry (especially for young people) has been classified and is changing even as I type? This fascinates my inner geek librarian. Thanks for being a light in the poetry world and congrats on another publication. I've given or thrown away all my NCTE journal issues, except the poetry ones, hard to let go, Sylvia! Thanks for sharing about this latest issue. I agree so much with that conclusion, just start sharing! Wonderful! I will have to find a copy. 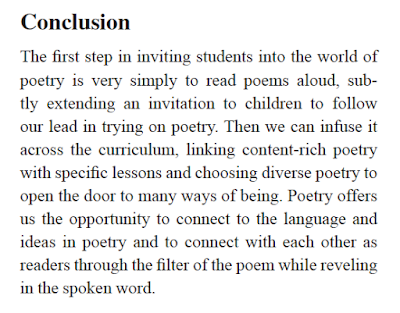 There are so many compelling reasons to share poetry with students. Thank you for working so hard to make sure teachers and parents know all the many reasons children (and adults) need poetry in their lives. My copy has not arrived! (I wonder if that means I need to renew my membership?) Can't wait to read into this. There should be a poetry issue every year, don't you think? Thanks! Congrats on the article! This does look like a rich issue. 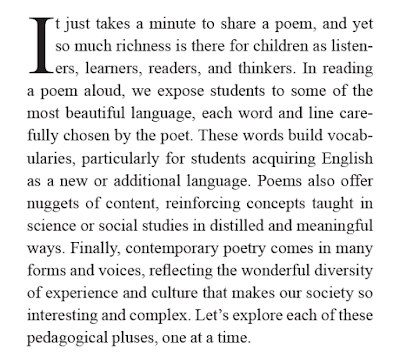 I loved sharing poetry--both reading and writing--with my middle school students when I taught. I hadn't cracked the issue yet (didn't even look closely enough at the front cover to notice the theme!) but I did last night. Got to your article just as sleep was pulling on my eyelids. Finishing the journal is next up on my to-do after the PF roundup! Thanks for all you do for poetry!! Many congrats, Sylvia! I'm so happy for you. Well deserved. 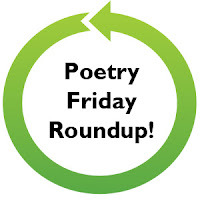 Way to continue to spread the vitalness of Poetry! Congrats on having the article published. A whole issue on poetry, yay! Hi, friends, thanks for stopping by to comment! And I agree-- EVERY year should have a poetry-themed issue! 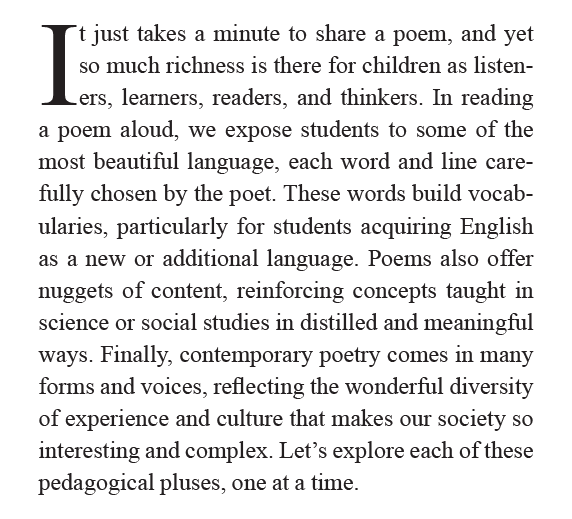 "Reveling in the spoken word," what a wonderful thing to do with one's time, and a special thing to share with a budding reader. Thanks for sharing bits of your article with us Sylvia, and congrats for it being included in the poetry issue too! I look forward to reading more of it.